If you visit the top vinyl sales websites such as Elusive Disc and Acoustic Sounds among others, the quality vinyl lists are fairly similar. All the familiar suspects—RCA, Lyrita, EMI, Mercury, Blue Note, Argo, Decca—populate the must haves. And many fabulous reissues also are cross referenced (Testament, Speakers Corner, Classic Records, etc). I’ve been reviewing lots of cartridges and phono stages lately and have been deep diving into my vinyl collection to add a little spice to the reviewing process. I began the subject of this list in Vol 1 and continued with Vol 2 with individual record releases. We’ll continue with box sets that may or may not be famous, but should be in any audiophile’s collection. Finding the following sets in their original form may be difficult or expensive (vinyl as an inexpensive medium is long gone). A few, however, are on high quality 180g reissues. Several of these sets I discovered in the collections of other audiophiles. Basically, listen, be gobsmacked, run home like a wounded audiophile and hit Discogs hard 'till the vinyl was found. Rest assured, the recordings are superb and the performances fabulous. Just be careful with price/quality ratio of originals if buying on the web. Let us know your desert island unknown Classical vinyl box sets in the Comments section below. In no particular order. The grand daddy of classical box sets. The master Beethoven interpreter recorded in great stereo sound by EMI (Klemperer also recorded an earlier set in mono). Slow tempos, intense and gorgeously played are the hallmarks of this landmark set. If I could only own one vinyl box set, this would be it. This incredible set from 1963 was full price for many years, sold in the millions and represented Karajan and his orchestra at the pinnacle of their achievements. Except for an undernourished Pastoral, you’re pretty much getting definitive performances. Recording is not in the EMI league from the set above, but certainly sounding great on a capable setup. Even if you’re not a Second Viennese School fan, there’s much to like here. However, it is the performances that are landmarks. Not what you think Karajan and the Berlin would be tops at, but the set has never been bettered. Stunning power in the Berg, utmost delicacy in the glorious Webern and luscious beauty in the Schonberg. Dodecaphonic perfection. Gloriously musical from the great man and performances in both mono and stereo with equally glorious playing from his hand picked Royal Phil. EMI sound. It’s amazing how natural Beecham’s Mozart and Haydn sounds. Like an old friend, but new. Here, his Haydn is pretty well definitive, at least on vinyl. I have this on a superb reissue from the original Mercury. The cello sound is miraculous. Vinyl at its very best. Starker’s set may have been equaled but never bettered. The vinyl brings the bow on rosiny strings like no other format. Glorious interpretation from the great Hungarian, Indiana U prof.
A recent box set release by DG on 180g vinyl. One of the glories of the DG catalogue were the collaborations between these two great artists. From Mozart to Beethoven to Tchaikovsky to Ravel and Prokofiev, nothing disappoints. In wonderful sound. Pressings are minty. A beautiful presentation, too. I learned all the Mahler symphonies and how they should be interpreted from my father’s NY Phil Bernstein set in the ‘60s. Musically, things have not changed but now with better quality vinyl and pressings. A masterpiece set by the master Mahler conductor. And even better than his later Vienna set. 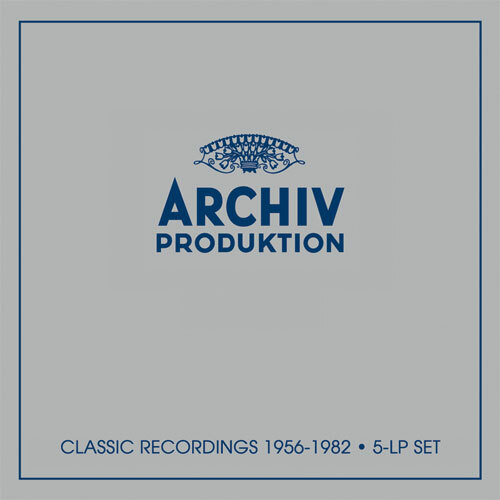 Arkiv recordings were my baroque recordings of choice growing up. Karl Richter and his Munchener Bach-Orchester along with Nikolaus Harnoncourt and others produced gem after gem. Included on this reissue celebration are definitive recordings of Bach, Biber, Couperin, Handel and others. When I play this set for friends, they guess the orchestra is from Berlin, Vienna or Amsterdam. When I reveal the truth, they are always shocked that it’s a provincial orchestra from a sleepy English seaside town. 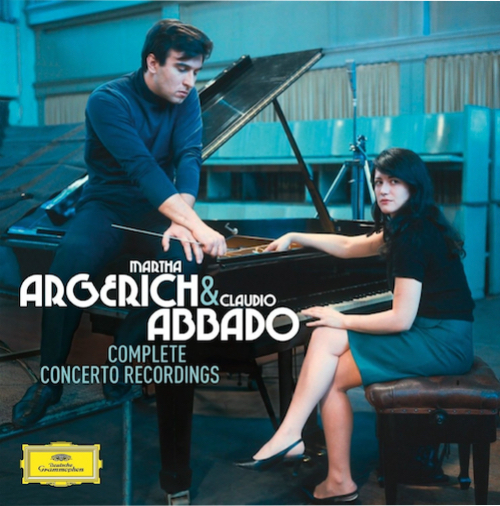 The secret weapons on this magnificent performance are Berglund’s deep knowledge of the score and EMI’s fabulous recording (even the sounds from the 2nd flute’s silver instrument and the principal’s wooden flute are easily distinguishable in the famous solos on this brilliant recording). This is a desert island box set. Search and buy. There is a lot of nonsense written about this incredible box set—weak singing, muddy recording, etc. All wrong. Karajan was a great vocal coach and the singing is fantastic and bettered by the best Ring playing on record. Okay, yes, the Decca/Solti, is also incredible, with better EMI sound, but there are too many highlights on this DG to list here. You play this set on a good setup, and you’ll be enthralled. Weak singing? Go directly to the Götterdämmerung Prologue. Prepare to be thrilled. The great Carlos Kleiber chose his repertoire very carefully, and his recordings even more so. What we have here is sexual and romantic ecstasy at its most musically intense. Kleiber’s knowledge of Tristan is unparalleled and his interpretation magnificent. He’s at home in Dresden with one of his favourite orchestras and a bevvy of great singers, including the wonderful Maggie Price. Maggie graduated a decade before me at Trinity College of Music, London and the students and teachers were/are still in awe of her talent. Kleiber chose a great Isolde. Recording is excellent with great power. And when the soon-to-be lovers drink the potion at the end of Act 1. POW!!!! Eugen Jochum is one of the most underrated conductors (quick, think great German conductors—Karajan, Furtwängler, Klemperer, Böhm all jump out), but Jochum was their equal and possibly their better in Brahms and Bruckner. This is a fabulous Bruckner symphony traversal and can be found quite easily and for cheap. The playing is stunning and the recordings very good, whether from Berlin or Munich. Jochum’s ideas are consistent through all the symphonies—fairly standard tempi, but with the most beautiful phrasing and a grand sense of the musical architecture. Quite hard to to find (these are the Toshiba pressings) of the original EMI recordings. Try to get both Volumes for the complete set. Sure the sound is mono and at times a little dodgy, and there are wrong notes aplenty, but nobody has grasped the Beethoven Sonatas and made them sound so natural and unfathomably deep like Artur Schnabel. You’ll be listening late into the night and you won’t mind the mono or the clunkers. Heavenly.